The Neighbourhood Plan will enable those who know and care about Wivenhoe to plan for its future development. It is not about stopping growth, but it is about making sure the right things are built in the right places. It can help with the delivery of homes, jobs and services whilst at the same time protect and improve the best of the parish and its environment. Wivenhoe produced a Town Plan in 2008. The Neighbourhood Plan will build on this work, but this time the Plan will carry statutory weight. Subject to approval by the electorate, it will be used when deciding future planning decisions that affect the town. It considerably strengthens the community’s ability to guide development in a way that reflects our priorities and needs. Where does the idea for a Neighbourhood Plan come from? 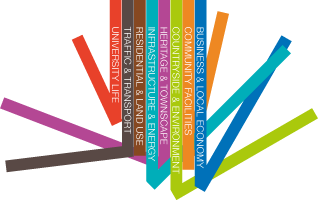 The Localism Act 2011 introduced exciting new powers for communities in the form of NEIGHBOURHOOD PLANNING. Communities have always been consulted in the planning process whether it be during the creation of planning policies or the assessment of planning applications (that are assessed against these policies). However, many groups have felt that this engagement is not meaningful – and Wivenhoe residents know that feeling all too well! The Government responded to this by allowing communities to prepare their own planning policies and site allocations in the shape of Neighbourhood Plans (NPs). Through this tool they can themselves create detailed policies which have real power as planning applications and appeals will be assessed against them. Very importantly, the concept of the NP is that it’s creation will be COMMUNITY LED. It won’t be the pet project of a few enthusiasts with too much time on their hands: anything in the NP will be there because residents wish it to be included and their last say over it will be in a Referendum. Unlike the Town Plan, the NP will have statutory force. This means that the community’s planning wishes can no longer be ignored or overridden by planning authorities. Because of this status, the NP must take account of the existing Strategic and Local Development Plans. The law doesn’t give communities the power to strike down existing permissions but empowers them to force through what they think is good for their locality. You can watch an account of the various stages of making the Plan,prepared by Planning Aid England in a series of Youtube videos, where Nigel McGurk, neighbourhoodplan examiner, explains the essentials.